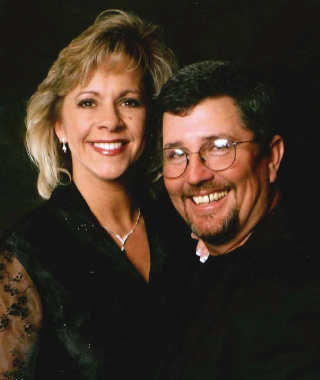 Barry & Kathy Gott have served as the Pastors of the Lighthouse for more than fifteen years. They have been instrumental in leading the church through incredible seasons of growth and a very extensive relocation project. Barry, Kathy and their five children, Rusty and Kristen Gott, Ryan and Julie Gott, Hannah, Isaiah, and Josiah were all born and raised in the Barnsdall area. Barry & Kathy also have 9 grandchildren. Read Pastor’s Story. Youth Pastors, Ryan and Julie Gott, share the responsibility of leading our many youth services, events, and outreaches. With a heart for this generation, they are dedicated to reaching young lives with the Gospel of Jesus Christ. Ryan & Julie also have a servant’s heart. They not only seek to reach the young, but serve throughout the church whenever there is a need. Ryan and Julie have five wonderful children. Serving as Children’s Pastor, Rusty Gott lead’s the children’s ministry on Sunday mornings in anointed times of prayer, praise and worship, and sharing Gods love through His Holy Word. Rusty has a heart for children’s ministry. He desire’s to see our children build a strong foundation that will empower them as they grow into the leaders God desires them to be.